"Dragon Boat Festival" redirects here. For dragon boating as a sport, see dragon boat. The Dragon Boat or Duanwu Festival is a traditional and statutory holiday originating in China. The festival now occurs on the 5th day of the 5th month of the traditional Chinese calendar, the source of its alternate name, the Double Fifth Festival. The Chinese calendar is lunisolar, so the date varies from year to year on the Gregorian calendar. In 2012, it fell on June 23; in 2013, on June 12; and in 2014, it will occur on June 2. The focus of most celebrations involves eating zongzi (sticky rice treats wrapped in bamboo leaves), drinking realgar wine (雄黃酒, xiónghuángjiǔ), and racing dragon boats. The sun is considered to be at its strongest around the time of summer solstice, as the daylight in the northern hemisphere is the longest. The sun, like the Chinese dragon, traditionally represents masculine energy, whereas the moon, like the phoenix, traditionally represents feminine energy. The summer solstice is considered the annual peak of male energy while the winter solstice, the longest night of the year, represents the annual peak of feminine energy. The masculine image of the dragon was thus naturally associated with Duanwu . The usual English name for the holiday, "Dragon Boat Festival," directly translates into two alternate Chinese names for the holiday, Lóngchuánjié and Lóngzhōujié. The official Chinese name of the festival is 端午节 on the mainland and 端午節 on Taiwan, Hong Kong, and Macao. This is pronounced variously in different Chinese dialects. In Mandarin, it is romanized as Duānwǔjié on the mainland and Taiwan; in Cantonese, it is romanized as Tuen1 Ng5 Jit3 on Hong Kong and Tung1 Ng5 Jit3 on Macao. All of these names (lit. "Opening the Seventh") refer to its original position as the first seventh-day (午日, Wǔrì) in the fifth month (五月, Wǔyuè) of the traditional Chinese calendar, which was also known as 午 (Wǔ). Both the People's Republic and the Republic of China use "Dragon Boat Festival" as the official English translation of the holiday, while Hong Kong calls it the "Tuen Ng Festival" and Macao calls it "Dragon Boat Festival (Tun Ng)" in English and Festividade do Barco-Dragão (Tung Ng) in Portuguese. Among Malaysian, Singaporean, and Taiwanese Hokkien speakers, the festival is also known as the "Fifth Month Festival," the "Fifth Day Festival," and the "Dumpling Festival." In Singapore, it is known in Malay as Pesta Kapal Naga and in Tamil as Nākak Kappal Pantayam (நாகக் கப்பல் பந்தயம்), both meaning "Dragon Boat Festival." In Indonesian, the festival is known as "Peh Cun", which is derived from the Hokkien phrase 扒船 (Hokkien POJ: pê-tsûn; Hanyu Pinyin: bā chuán). I have never known there are so many different names for Dragon Boat Festival. Malasia also celebrate this holiday which I didn't know. It seems that partially Indonesia Chinese also hold this tradition, however not acknowledged by the government. The obvious prove is no holiday in Indonesia on that day. 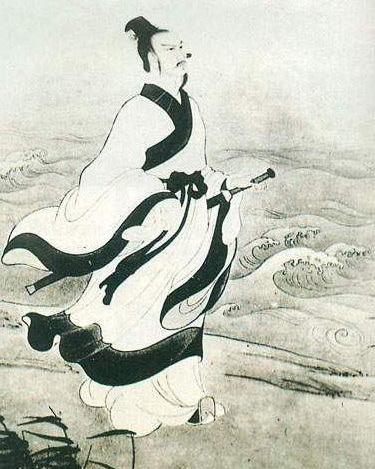 Qu Yuan was a very great poet, not only because of his masterpiece of <Li Sao>, but more because of his patriotism.